With the widespread takeover of EDM into mainstream music, people tend to take less notice in the vocalists that are singing and instead are focused in on the beat when listening to electronic music. 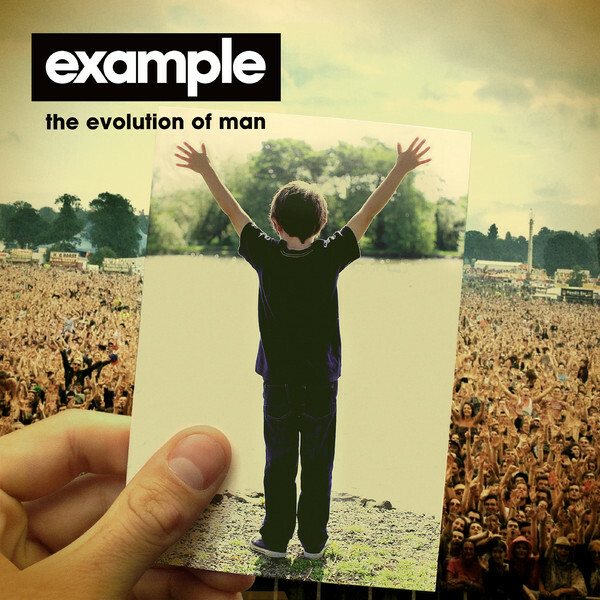 Example has been producing since 2004, and has within the past year made his mark in the states. His style is distinct, and both his voice and his lyricism are recognizable. This week, the follow up album to ‘Playing In The Shadows’, which had plenty of big hits, was released. ‘The Evolution of Man’ has lots of depth and yet again has an all-star lineup of producers. Including all the artists on the deluxe edition CD (which is recommended), the album features Benga, Skream, Dillon Francis, Dada Life, Laidback Luke, Tommy Trash, Calvin Harris, Dirty South, Feed Me, Alesso, Zane Lowe, Friction, and Alex Smith. Taking all those big names into consideration, the songs sounds slightly different from what we would expect from these producers. The talent of these producers, however, truly shines as they provide great instrumentals for Example’s vocals to flow so smoothly over. Today I have a few tracks for you guys to check out, as well as a throwback from Example’s previous album. Make sure to check out the rest of the album though, which is available on iTunes today! The Deluxe Version, contains more new originals as well as some great remixes of some tracks off the regular version. Now for the throwback! This was one of the bigger singles off ‘Playing In The Shadows’ and was produced by Jon Gooch, also known as Feed Me. Have a happy Thanksgiving! Make sure to wish Example the same on his Facebook page! Next ArticleBLACK FRIDAY MUSIC BLAST! !